Bloomington Chiropractor Dr. Robert Brown brings a bit of the small town to our big city. When you have been to various doctors’ offices before, you might feel like you’re treated as a number instead of a person. Our patients, however, love our personal approach, treating you like family every step of the way. We always put ourselves in your shoes, and would never make recommendations that we haven’t tried ourselves. 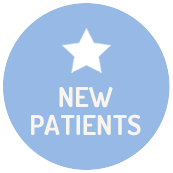 We want to create an incredible experience for you each time you visit us at Elite Chiropractic & Rehab. Did you know that chiropractic care can offer you benefits that go far beyond pain relief? Though many seek our help and get excellent results for back pain, neck pain or headaches, Dr. Brown can help you live a healthier life with ongoing care. We’ve witnessed the remarkable advantages of wellness care and encourage our patients to continue progressing on their health journey. In a warm and welcoming environment, we offer precise chiropractic care that is customized to you. 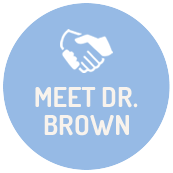 Dr. Brown has advanced knowledge in numerous techniques to ensure that you receive exactly what you need to get better. 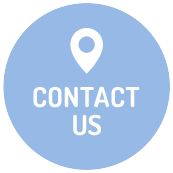 We’ll start with a thorough consultation and examination to uncover the source of your problem and discuss your objectives. Then, our plan will be personalized to address your particular concerns. In addition to providing customized care, we also ensure that it’s delivered in a compassionate and gentle manner. Experience the Elite difference – contact us today! 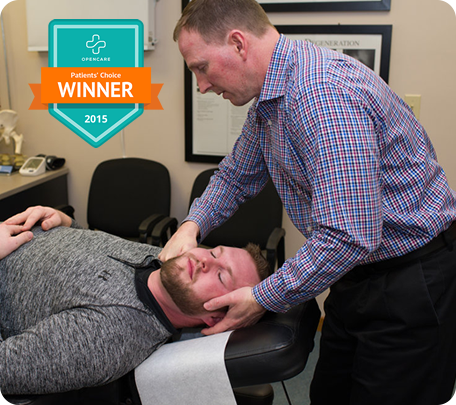 Find out why Dr. Brown was recently voted the best chiropractor in Bloomington. We look forward to meeting you and are excited to get you on the road to better health! Dr. Brown was recently asked to speak before an audience of over 2,000 people at the annual Parker Vegas seminar to discuss how Parker Principles have helped contribute to our office growth. One of the leading Parker Principles is “Loving service – my first technique.” That is very reflective of how our office operates. Dr. Brown and his staff are so kind and helpful. They’re committed to not only fixing the problem, but preventing it from returning. I’ve been suffering from pain for years and because of them I am finally feeling relief. Super affordable and suitable for all ages. Dr. Brown is the best chiropractor I’ve ever been to in my life! He’s the first chiro I’ve met who truly is concerned for his patients and always takes time to listen and customize my treatments. If you’re looking for a chiropractor, I fully recommend his office 100%! Very accommodating and professional. Dr. Brown gave me instant relief for my issue and has been 100% successful in keeping me pain free through regular adjustments. Can’t say enough good about this place! Dr. Brown gives great adjustments and really listens to you about where you are having problems. He has many different techniques to take care of any problems you’re having! I would highly recommend him!